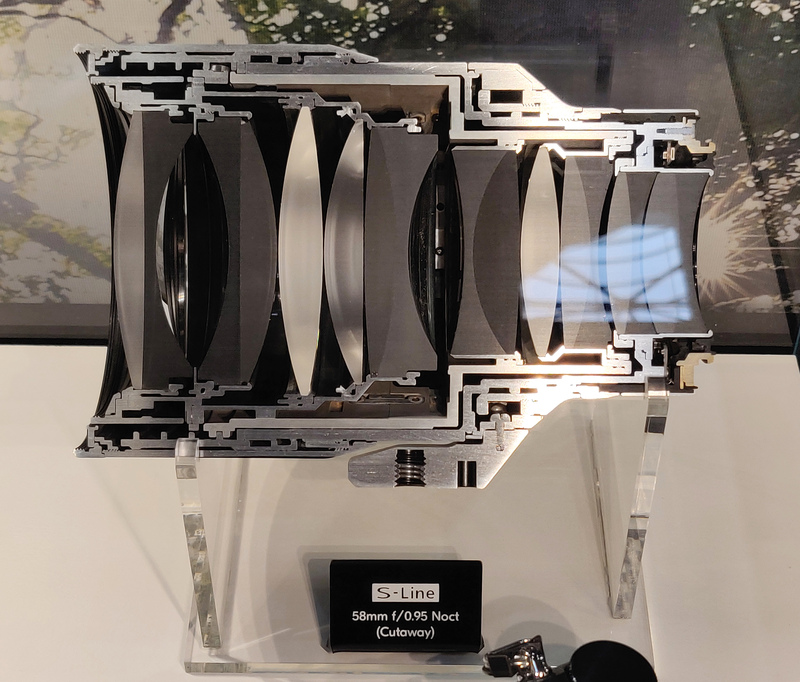 Nikon Z Series lenses on show for the first time at The Photography Show 2019, including the new Z 14-24mm, 20mm, 24mm, 50mm, 85mm, and 70-200mm f/2.8 telephoto zoom lens. Nikkor Z 58mm f/0.95 Noct Lens Cutaway. 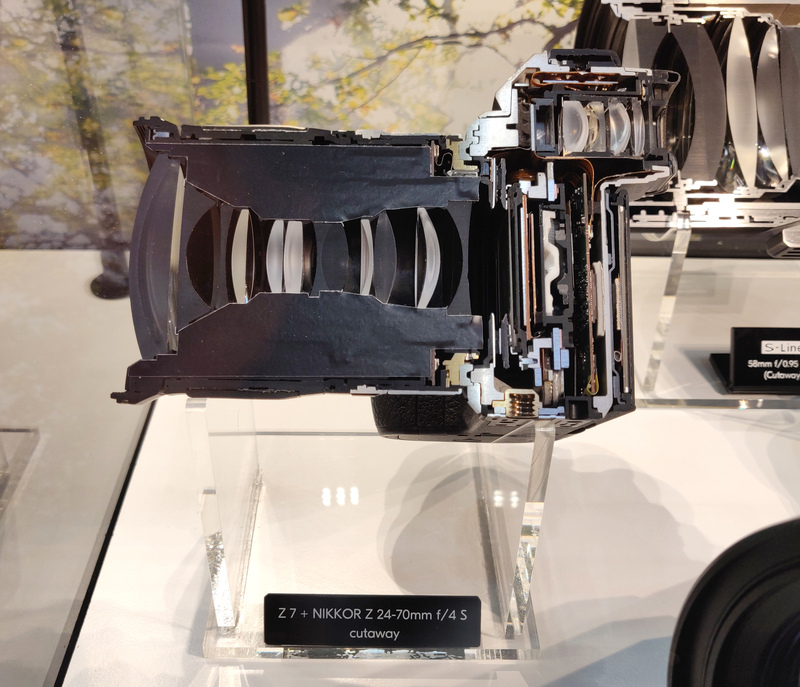 Nikon Z7 and Nikkor Z 24-70mm f/4 S lens cutaway.